Let's get this straight: That hillbilly version of Snoop Dogg's "Gin & Juice‚" you've got on your iPod ain't Phish. Nor is it Ween, Umphree's McGee or any number of bands the tune has been erroneously attributed to since it first appeared online during Nap-ster's heyday. It's The Gourds, dammit. And with a decade's worth of material culminating in their latest album, Noble Creatures, Austin's absurdist Americana outfit continues to be more novel than novelty. Seven Days recently chatted with The Gourds' co-founder, Kevin Russell, from his home in Austin, Texas, in advance of their show at the Higher Ground Showcase Lounge this Sunday. SEVEN DAYS: Does it bother you that your best-known song is one, always attributed to other bands, and two, a cover? KEVIN RUSSELL: It doesn't bother me too much. Though I've definitely got my issues with file sharing. I'm not a Phish fan, but I've definitely listened to them a few times and obviously that song's not them. I mean, even in Burlington? That's what really shocked me. That's the one place you think they'd know. It's like, "Did you really think that was Phish?‚"
It's a blessing and curse and, at this point, I think it's just sort of a microcosm of our career. I actually find it pretty laughable and enjoy it. I think that, in some way, some higher power was looking out for us. I mean, that song would never have been heard by so many people if it hadn't been wrongly identified in the Napster system. Whoever originally had that thing wrong in their files, we'll never know. I do think it's funny that the majority of people who hear that song don't know who it is. We were in Philadelphia, loading into our hotel, and there were a bunch of kids coming in from partying. They made some smart-assed comments about us being in a band and we're, like, "You don't know who we are? You know that song ‚ÄòGin & Juice'?‚" And they're, like, "Oh. You're Ween!‚" It's hilarious. There's a fun story about our drummer, Keith Langford, too. He went down to Galveston Beach and was partying and got in a fight with somebody. So he went out on the beach to sleep instead of in the beach house. He was trying to get to sleep in the sand but couldn't, because all the cars on the main drag were blaring our version of "Gin & Juice.‚"
SD: With its confessional tone, Noble Creatures seems like a bit of a departure for The Gourds. Was that intentional? KR: It's hard to say what's intentional with us. Jimmy Smith and I are the two writers, and we generally kind of just go about our business privately and then bring songs to the group. So there's not a whole lot of thought or discretion that goes into the way we do things. As far as it being intentional, my whole idea from my side of things was that I just had a bunch of songs from over the years that I didn't consider to be good candidates to be Gourds songs. And so my theme was that I just wanted to do all those songs that my inner voice told me not to do. Break my own rules, you know? I did try to write some of it to be linear, or easy to understand. People always make such a huge issue out of our lyrics. They're nonsensical, or whatever. I understand that a lot of people just don't understand how we write. It's impressionistic kind of writing, and I've read a lot of that . . .
People want to question you and ask, "What does that mean?‚" Well, what does "Hard Rain's Gonna Fall‚" mean? What does "The Locomotion‚" really mean? I don't know. I don't want to get caught up in interpreting my own lyrics. I know what it means. But it's just lyrics, it's just words. Anyway, I wanted to write something that was a little more digestible, just to see if anybody will ask me, "So, what does that mean?‚" On "Promenade,‚" in particular, I was trying to write on sort of a sophomoric, eighth-grade emotional level - as best I could, anyway. I think I did a pretty good job. Until the bridge, maybe. The bridge is a little much. SD: Speaking of "Promenade," wasn't that song kind of an accident? KR: Well, most songs are accidents, really. For me they are, anyway. I don't really try too hard to write 'em. I just had this ukulele chord book and was going through this scale and I followed that scale and the melody just sorta came to me right there. It was one of those epiphany moments. It just seemed novel to me. That's when I know I should write the song. When I have that feeling. It's hard to explain why certain things resonate that way. Plus, my daughter was sitting there and she really liked it. SD: It's interesting that you and Jimmy are able to achieve such striking balance, despite not writing together. Is this something the band works on? KR: Again, it just totally happens that way. This has actually been an issue of mine with the band lately. There's no culture of criticism within our group. We don't really say, "I don't like that song,‚" or "That's a really great song.‚" We just do it and sorta have to live with what we get. Sometimes, after the fact, we might do some bitching and complaining. But essentially we're just throwing salt into the wind. It just seems to work. Jimmy and I have been friends for a long time and playing music together for a long time. And we definitely have similar music that we love. We're really both trying to do the same thing, which is recreating some old feeling we had when we were children listening to music on the radio. 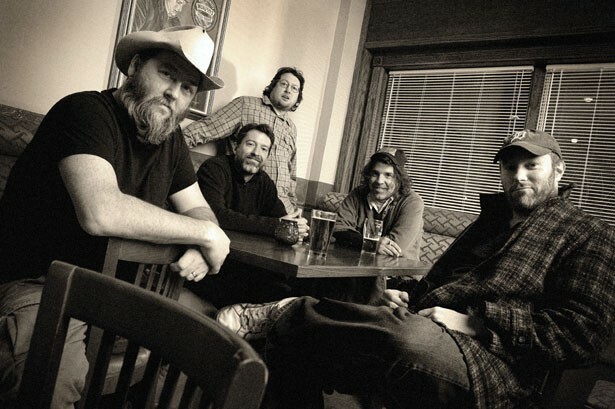 The Gourds perform at Higher Ground's Showcase Lounge, November 18, 7:30 p.m. $10/12.